If there’s one thing I know, it’s that gambling can be very emotional. There’s nothing as frustrating as losing five times in a row on Roulette or playing a slot machine for 30 minutes without getting a single free spins bonus. On the other hand it can be quite fun to see other people’s reaction when lady luck is not in their favor. 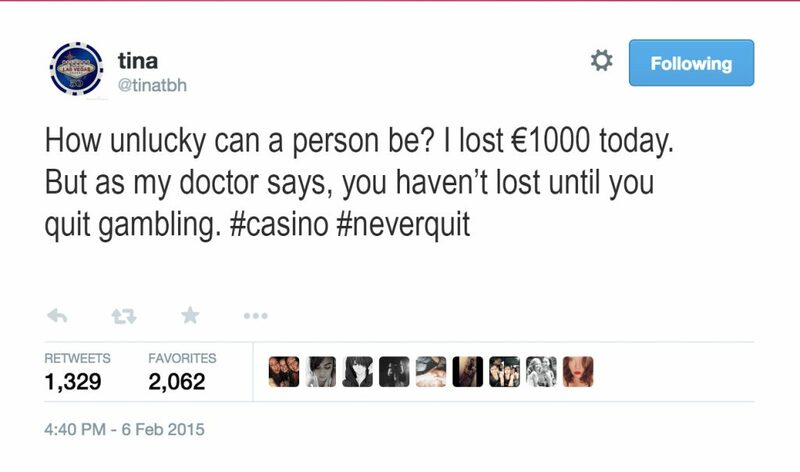 We’ve gathered some funny gambling and casino tweets below. So we start off with a classic. You decide to gamble a night and lose a bit more than you had calculated for. What’s the best solution? ALCOHOL!!!. 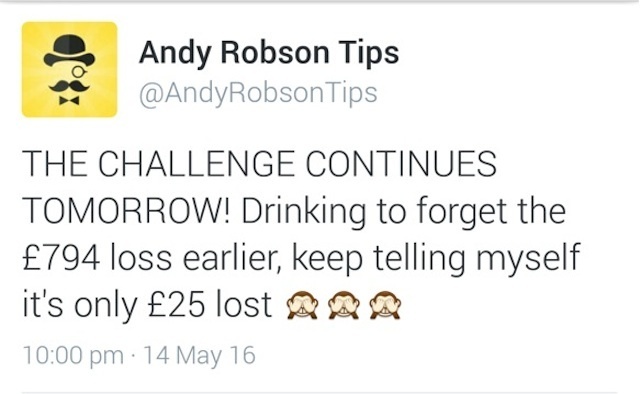 Drink until you forget you lost and keep telling yourself you only lost £26. Works perfectly, until you wake up and those losing memories slowly come back to life. I love this one. “You haven’t lost until you quit gambling”. What’s even more funnier is that it was his doctor who told him! Oh man, I can never get enough of these. I do feel a bit bad though. The guy lost €1000 in a day. That’s not peanuts! 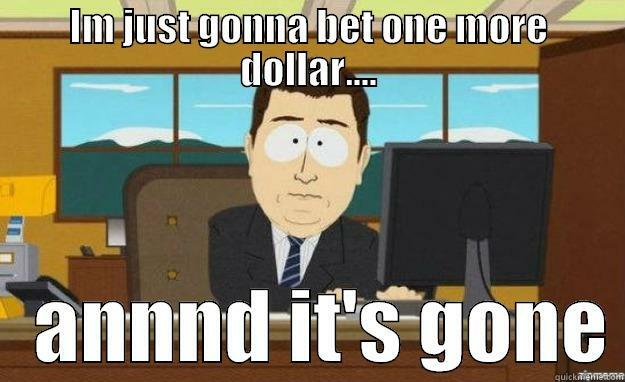 My casino strategy is to always increase my bets when I lose. Maybe this guy should check out some highstakes Roulette (https://www.crispygamer.com/highstakes-roulette) and just go for it! I don’t even know where to start with this one. What does “FREE SPINS ME BABY” even mean? Is it some kind of chant to the gods in order to improve his luck? Well I can tell you one thing, it’s not going to work! You can hashtag Crispygamer as much as you like, but you’re not going to win. Do you want to know how to win big Alika? Then maybe watch this video, instead of praying to the online casino gods. I have to confess, this last casino tweet is actually not from Matt Damon, but I think it still deserves to be here. I imagine it’s what Mike McDermott would have tweeted to “Worm” if Twitter had been invested back in 1998. “I told Worm you can’t lose what you don’t put in the middle. But you can’t win much either”. It’s one of the most memorable quotes from the poker movie Rounders.